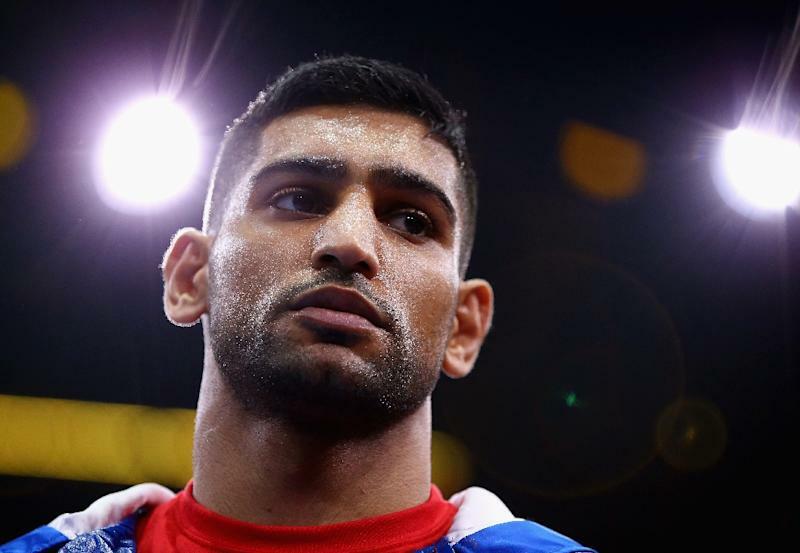 British boxer Amir Khan on Wednesday vowed to help Pakistan produce champion pugilists with a network of academies in his family's country of origin. The former two-time world champion is currently touring the South Asian giant of 200 million people better known for its prowess in cricket, and plans to set up boxing schools in the western Khyber Pakhtunkhwa province, eastern Punjab, and the southern city of Karachi. "I think we have the talent to produce boxing champions," the 28-year-old told media during a visit to Karachi's troubled Lyari area, which is frequently hit by gang violence but also known for producing talented footballers and boxers. "I have made a promise to the nation that I will pay back what I have achieved in boxing," added the highly rated fighter from Bolton, England, who has a record of 31 wins including 19 knockouts, and three losses. Khan was accompanied by a heavy security contingent to the neighbourhood, which has long been a hub of political, ethnic and criminal violence. "I am here to meet potential champions and I am not afraid of anything, we will... beat terror and produce boxers of top quality," he said. Pakistan's sole Olympic boxing medallist is Hussain Shah, who won a middleweight bronze in the Seoul Games in 1988. The country has also produced an Asian Games gold-medallist in Mehrullah Lassi, who won the featherweight division at Busan, South Korea in 2002. Khan, who became Britain's youngest Olympic boxing medallist when he won silver at the 2004 Athens Olympics, said he was keen to train Pakistani boxers. "I will pass my tricks to them and will do my best to help them qualify for the Olympics, if not the 2016 in Brazil then the next one in Japan in 2020," he said. Known for his speed and aggressive style, Khan won the last of his fights against US boxer Chris Algieri in New York in May before once again challenging the welterweight world champion Floyd Mayweather. But Mayweather announced earlier this month he would aim to match the 49-0 career record of the legendary Rocky Marciano in his final bout against fellow American Andre Berto on September 12, effectively ruling out a highly anticipated clash with Khan. Five-division world champion Mayweather beat Manny Pacquiao of the Philippines in May of this year in what was described as the "fight of the century".